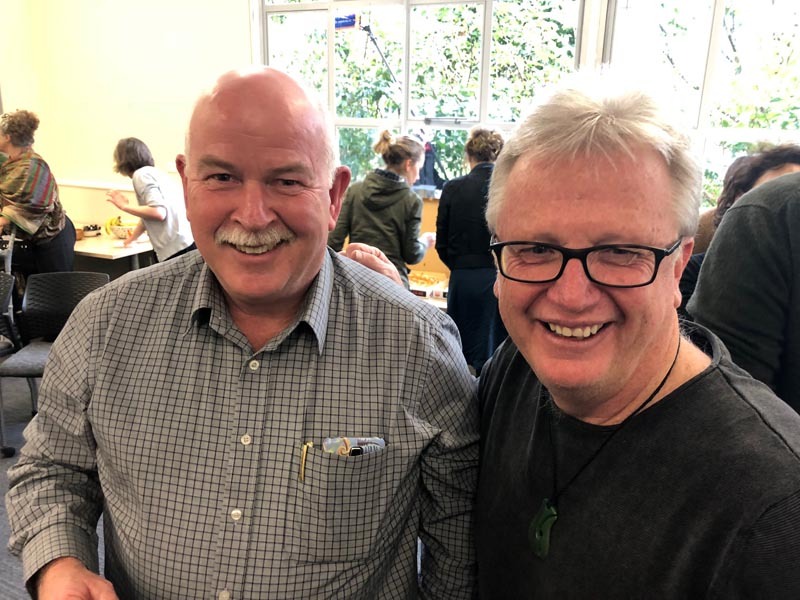 “The arts are as vital in prisons as they are everywhere else in our society because the arts are carriers of hope,” says Peter O’Connor, a member of the Arts in Corrections Network and Professor in the Faculty of Education and Social Work at the University of Auckland. Peter says he’s been “in and out of locked places for a very long time” – nearly 40 years, in fact. In 1982, he worked in secure units in London exploring theatre with violent young offenders. And his PhD included developing dance and theatre works with people in forensic psychiatric wards. “Critics of the arts often dismiss them as some airy-fairy free-for-all,” he says. “But artists know that the discipline involved in any art-making process – whether it’s theatre, dance, music, painting or writing – is demanding. It requires the soft skills that employers value such as risk-taking, curiosity, collaboration and team work, and creativity. “Perhaps most importantly, the arts remind us of our common humanity. Surely we want prisoners to leave prison more in touch with the full range of what it is to be human: more hopeful, gentler, kinder, and more empathetic. 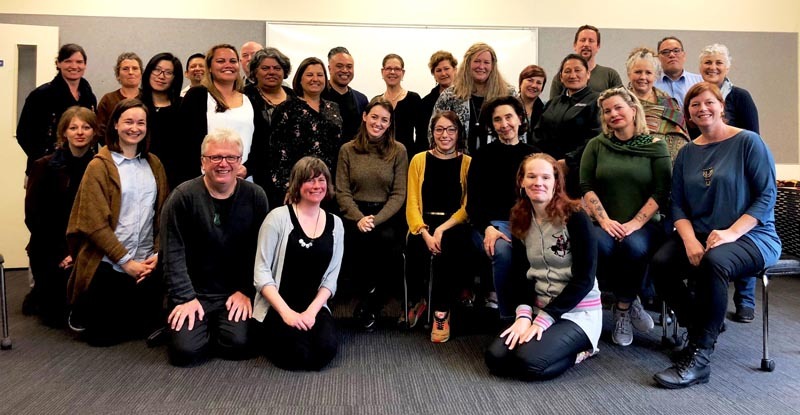 The Arts in Corrections Network, to which Peter belongs, was set up by Arts Access Aotearoa in 2016, to provide a way for people to connect, and share information and expertise. The networks cover three regions (Northern Region Network, Lower North Island Network and South Island Network), and include Corrections staff and volunteers, Community Corrections staff, prisoners, artists and writers, academics, community arts organisations, and people in the wider community interested in arts and social justice. In Auckland, Network meetings are generally hosted by the Faculty of Education and Social Work at the University of Auckland. Peter says the Arts in Corrections Network is “powerful” because of the strength of its research, and members’ commitment to the arts and social justice. It’s also powerful because it’s a “genuine alliance” between Corrections staff, academics and artists determined to make a difference in the lives of the people they care for. Arts programmes are "life changing"
Peter points to the arts programmes at the Northland Region Correction Facility to illustrate what can be achieved. The long-standing arts programmes, led by Beth Hill and a supportive prison management, are “life changing” for many prisoners, he says. At the Northland facility, the arts programme offers theatre, creative writing, art history, painting, printmaking, sculpture, graphic design and music. Prisoners are supported to gain new skills on their pathway to rehabilitation, and can also study NZQA courses and gain qualifications through Te Aho o Te Kura Pounamu – The Correspondence School and NorthTec. Peter hopes the Government will recognise the possibilities of arts programmes in prisons as a valuable tool supporting rehabilitation. “I believe we need that level of commitment to the arts in our prisons. We need it to be driven at national level, recognising the arts as a human right that all New Zealanders deserve access to. Original generation time 1.6854 seconds. Cache Loaded in: 0.0007 seconds.